Size: 26.5 x 32 cms. 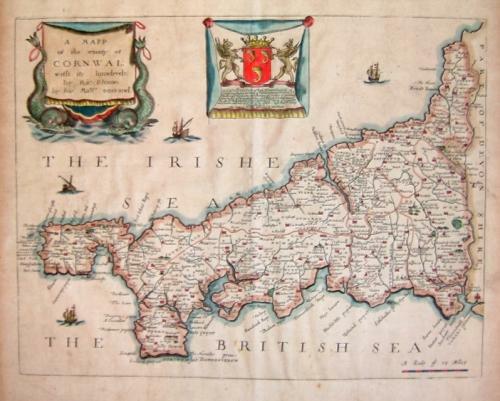 A decorative map of Cornwall most likely from the First Edition of the "Britannia", Blome's larger series of county maps. Decorated with cartouches and a dedication, based on Speed's maps. Blome was renowned as a plagarist, said "I do not own myself the Author, but the Undertaker of this work". In very good condition with some marginal toning well away from the image area.